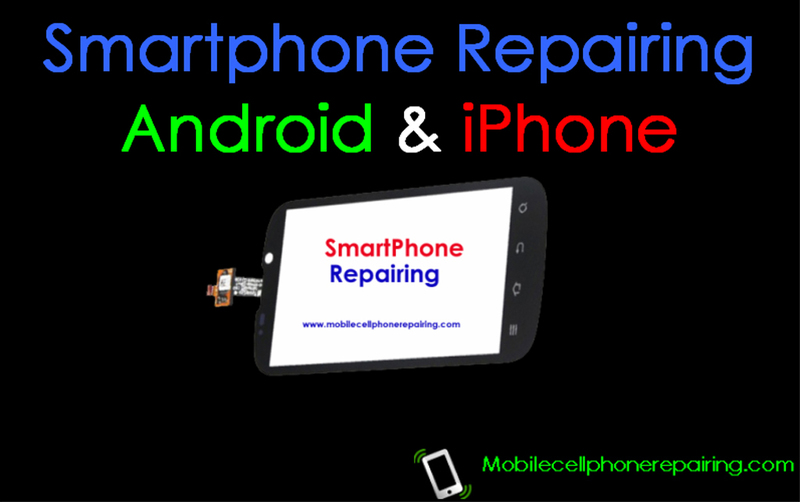 Smartphone Repairing – Android and iPhone. Learn How to Repair any Smartphone – Samsung, iPhone, HTC, Sony, Huawei, ZTE, Micromax, BlackBerry al all other Brands of Smartphones. Smartphone Repairing – Android and iPhone is more or less same as repairing a normal mobile cell phone. Mobile phone repairing tools and equipment, repair kit, training, parts required are more or less the same. In fact, repairing any smartphone whether Android, iPhone or Chine smartphone is comparatively easy. Anyone with basic knowledge, can repair any smartphone very easily. Most smartphone repair job is DIY and can be done at home without having to take the smartphone to a service center. The secret behind repairing any smartphone is disassembly and assembly of a handset. If you can learn how to dissemble and assemble back a smartphone then you can easily do most mobile phone repairing at home. Another secret to smartphone repairing is that many problems can be fixed by simply cleaning and servicing. If any part or component is faulty, it has to be either soldered or replaced which is very easy. Here I explain step-by-step process on how to repair any smartphone. The same steps apply for all brands of mobile phone including – Samsung, China Mobile Phones, Motorola, HTC, Sony, Alcatel, LG, Panasonic, Huawei, ZTE, Spice, Lava, Sony Ericsson, Micromax, Apple iPhone, BlackBerry etc. Software problems – Most smartphone problems are related with software or OS (Operating System) or IMEI Number. All these problems can be easily solved by either upgrading the OS to the latest version. In most smartphones, this can be done easily using the software update feature in settings. Use this feature with WiFi Internet connection. If there is problem with the IMEI number, then it can be easily done at any service center. Headphone Jack Problem – Most people buy a smartphone to listen to music and enjoy videos. Many of them use headphones. Headphone jack problem is a common problem with smartphones. It is very easy to replace any headphone jack. Just buy a new jack from the local market and replace it. If you can disassemble and assemble back a smartphone, you can easily do it yourself and save money and time. Camera Problems – This is another problem with smartphones. However, it is very easy to solve and fix smartphone camera problems. Just disassemble the phone and check if the camera connector is properly connected with the motherboard or the logic board of the smartphone or not. If everything is ok but the camera is not working then it may need replacement. Just get a new one from the local market and replace it. That’s all. what are the software boxes needed in a service center? There are software boxes for different Brands like Samsung, Nokia etc. There is also All-in-One Software Box. which course do i need to study to know about both the hardware and software mobile repair?